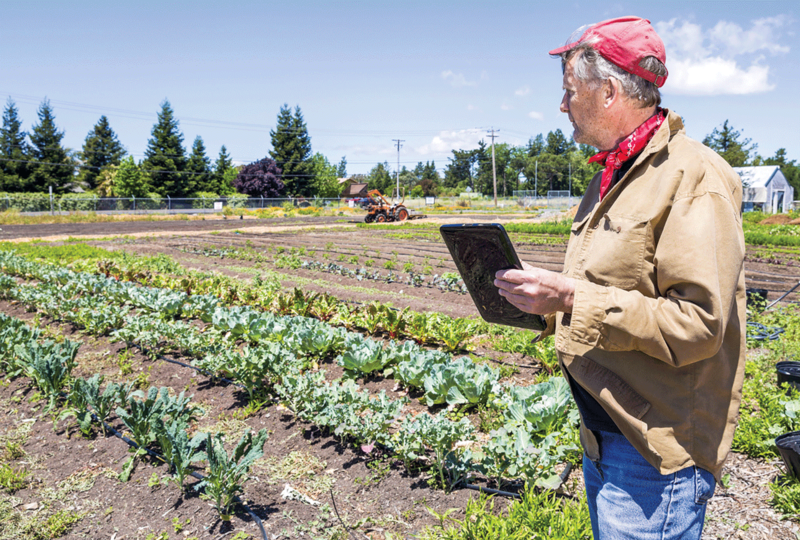 CALIFORNIA– Shoppers now go online to buy a vast array of goods and services, but for farmers and other food producers trying to harness the power of the internet to sell their products, e-commerce remains one of the last frontiers. That may be changing, though, as people become more comfortable with ordering food, meal kits and groceries online and with the rise of delivery services that are driving the trend. Even though home delivery of food and groceries—particularly perishables—remains relatively small business compared to other online sales, Carroll said he sees much more potential in the so-called “click and collect” type of service, through which shoppers order online but pick up their purchases at the store. He noted multiple retailers now offer or are working on offering this service, which saw 48 percent growth last year. Carroll said CMAB worked with Amazon Fresh—the e-commerce company’s grocery delivery service—to develop a “landing page” for California specialty cheeses, so they could be promoted together. The advantage of doing that, he said, is to bring scale and an entire category together so that it stands out among a crowd of food brands, allowing “a better opportunity of getting in front of the consumer and into their virtual shopping cart.” He said CMAB is in discussions with other retailers to create similar programs. As a farm that sells its pasture-raised meats through a community-supported agriculture program and does its own home delivery, Tara Firma Farms in Sonoma County now does 90 percent of its business online, according to Brandon Connaughton, the farm’s member and outreach coordinator. He described e-commerce as “absolutely critical to the very nature of this business,” as the website allows members to adjust deliveries and choose what goes in their carts. Connaughton stressed the importance of using social media and internet marketing, as well as having a “good, clear website and structured e-commerce plan,” especially for small businesses and independent farmers, as it allows them to “set themselves apart from the competition.” Even if they’re not selling anything on their website, he said, these tools could be used to relay information, such as where to find their products. Many of the farm’s new members come through Google or networking websites that collaborate and/or locate small farms such as Tara Firma, he said. For this reason, he said search-engine advertising has been crucial to expanding the farm’s online reach. Amanda Lange, direct marketing director of LangeTwins Family Winery and Vineyards in San Joaquin County, said it’s always been a priority for the winery to sell wine on its website, which also serves to promote the winery and tell its story. Online sales now make up about 10 percent of the winery’s direct-to-consumer business, with the rest coming from a tasting room and wine club. The winery now holds licenses to ship wine to all 36 states that allow alcohol sales. “We want to keep the opportunity to sell to any person that wants to buy it,” she said. Lange noted how the company’s website has gotten easier to use over the years, thanks to improvements in the software available to wineries and through the winery’s own investments of money and effort. This year, she said, the company plans to explore Google advertising to expand its reach, noting that the majority of its online customers are people who already have a connection either to the winery or its wines. Its current strategy and priority, she said, continues to be growing the winery’s email list, which is used to send out promotions and other information. Trisha Bolton, sales manager for Yurosek Farms, which grows pistachios in Kern County, said the farm’s online sales may still be a “very small percentage” of what the farm produces, but the sales continue to grow, especially in the last few years. She described the farm’s online presence as having a “huge impact” on fourth-quarter sales in 2018, with more people ordering pistachios through the website during the Christmas season. Bolton said the farm had its online store in place long before the growth of online food sales, because it doesn’t have a brick-and-mortar store, and now is seeing the fruition of its early adoption. She said the farm tries to keep up with what companies such as Amazon do to remain competitive. For example, it recently revamped its shipping method and pricing.